Belinda Austin writes Women's Fiction, Humor, Psychological Thrillers and Suspense. She was born in the Los Angeles Area. She, also, writes Science Fiction and Fantasy under the name of B. AUSTIN. 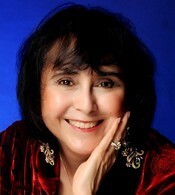 She writes Historical Fiction under the name of BELINDA VASQUEZ GARCIA, along with Middle Grade Fiction. Her book Return of the Bones won Best Historical Fiction for the New Mexico / Arizona Book Awards. She has a degree in Applied Mathematics and worked as a Software Engineer and Web Developer. She is a Zumbaholic and enjoys dancing.